With Route 120 – The Pioneer Way passing through the historic town of Brookton the town is a four-way junction North and South, and East and West. 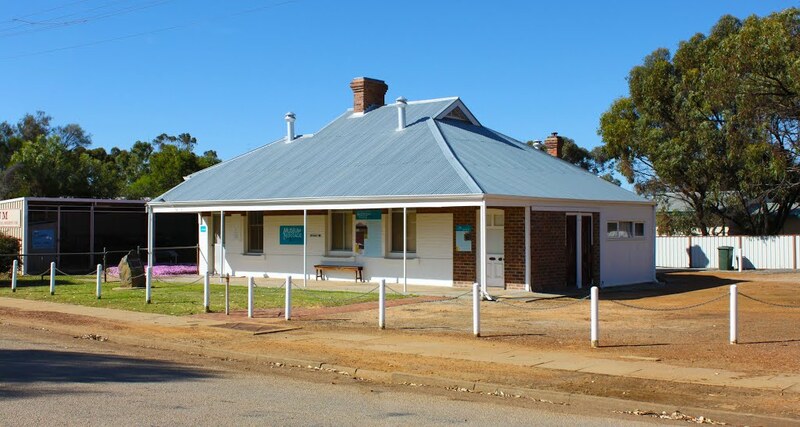 You can leave Route 120 – The Pioneer Way here and return to Perth via the picturesque Brookton Highway. Or you can head east to Corrigin and on to the unique “Wave Rock” at Hyden. The first settler and founder of the district, John Seabrook (1818–1891), moved to the area in 1846 soon after marrying, and named his property “Brookton House”. He remained the only European in the area, aside from itinerant sandalwood cutters, until his stepson, A.W. Robinson, took up adjacent land in 1864. During the 1860s and 1870s, more settlers moved into the area, and took on sandalwood cutting (it sold for £9 per ton) as well as wheat and sheep farming. In June 1889, when the Great Southern Railway opened, the town had one of the original stations. The station proved to be the catalyst that created a centre for the isolated farms, and the government gazetted a townsite here in 1895 and named it “Seabrook” but local acceptance of the station name and confusion with another Seabrook near York resulted in the townsite’s name being changed to Brookton in 1899. The townsite attracted a few businesses and by 1903, the tiny settlement comprised a school, hotel, bank and a few shops. The Old Police Station Museum located in the town is the base of the local historical society and contains artifacts and memorabilia of the early settlement days. A bulk wheat bin was opened in December 1940 and began receiving large amounts of grain immediately. In 1941 the wheat harvest of the surrounding area was about 90,000 bushels all delivered to the local bulk wheat bin. This was about 5,000 bushels down from the previous year. Today: The town is a key agricultural centre for a rich mixed farming district. In the 2001 census, it reported a population of 576. It contains a TAFE centre, and in addition, a district high school (opened 1960, replacing a primary school), Bendigo Bank, shopping facilities, accommodation (hotel, motel, caravan park), council offices and a telecentre are located within the town. Bi-annually, it hosts the Old Time Motor Show.